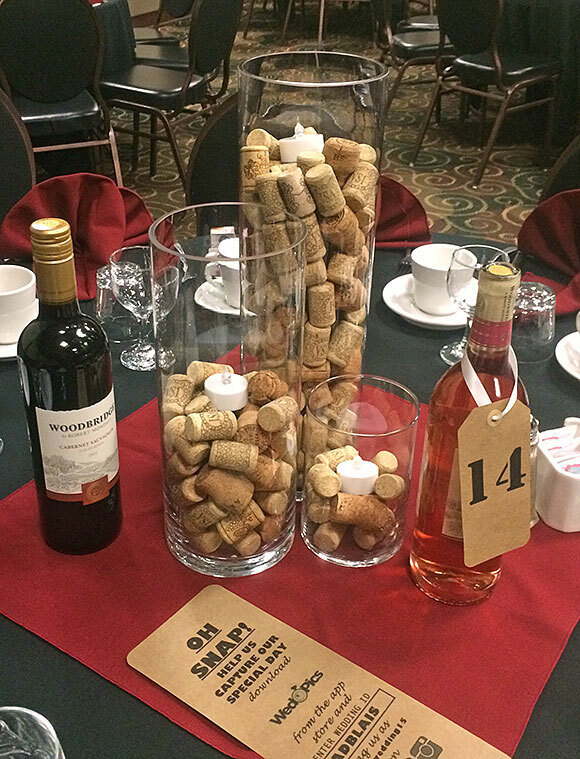 Centrepieces for the wedding tables - Put a Cork In It. Ashlee Parras used her recycled corks to fill different height glass cylinders and perched LED ‘tea lights’ on top of them. Stylishly simple! Thanks for sharing Ashlee.